Cal Crutchlow has heavily criticised MotoGP race direction for its work throughout the Austrian Grand Prix, saying it has mishandled dangerous situations. 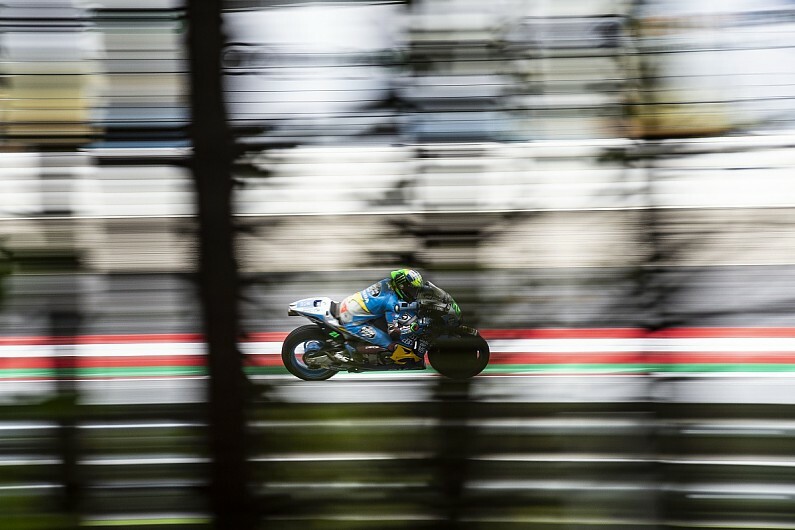 Crutchlow was one of a number of riders to express concerns about riding the Red Bull Ring circuit in the wet last year after a number of crashes in the first Moto2 practice session. The LCR Honda rider was unhappy with how Friday afternoon's programme commenced after torrential rain hit the track, and Crutchlow tweeted that race direction should be "sacked" after Luca Marini crashed during Moto2 qualifying and marshals tried to clear his bike from the track at Turn 7 under double yellows. "The rain yesterday was a joke," said Crutchlow, who qualified fifth for Sunday's A ustria race. "For our session, for Moto2, [it was] just horrendous around the most dangerous circuit there is. "Then they sent the Red Bull Rookie [Cup riders] out, going around on five-inch tyres or whatever they are. "Then today [Saturday] there's a bike on the track, people crashing, four marshals trying to pick a bike up with a flat tyre and this guy [race director Mike Webb] is doing nothing upstairs, absolutely nothing. "We told him last night in the safety commission. We don't agree with his decisions at the moment, at all. "I don't understand, they say there is no problem to put out the red flag, there is no time lost, as such, they're fine to put it out. But they never put it out. "Maybe [he] just doesn't like the colour red, I have no idea." Crutchlow also t ook issue with grid penalties being issued for blocking, citing the three-place sanction given to Franco Morbidelli for impeding Aleix Espargaro. "They are putting penalties left, right and centre for a lot of stuff that shouldn't even be penalties," added Crutchlow. "You can sometimes sort the stuff out by just walking around to the other guy's garage saying sorry, that's it, done, who cares. "In the middle of practice or whatever, and he is handing out three-place grid penalties. "But I am not the only rider, I just say it because they are probably all scared to say it. But it is the reality, everybody agrees, every rider I know completely agrees."